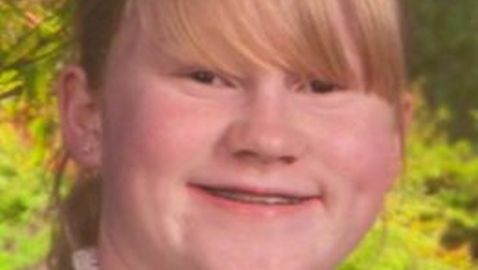 Elizabeth Annette Robinson, a 13-year-old from Cypress, Texas, drove 800 miles to meet a 12-year-old boy she befriended while playing Xbox on the Internet. Robinson took her brother’s car, without permission, to meet the boy. The incident occurred on Thursday when Robinson stole her mom’s ATM card, exited the house through a bedroom window and then took her brother’s 2011 Nissan Versa. She drove through Arkansas to get to Nashville, Tennessee so she could meet Dylan. Prior to the car theft and the trip, Robinson’s mother, Tressa Robinson, noticed changes in her daughter. Robinson traveled to meet Dylan because her father took her Xbox away from her. Dylan was in Hodgenville, Kentucky. Dylan did attempt to talk Robinson out of making the trip to Kentucky but she decided it was best to do it anyway. Robinson was apprehended by officers when she was roughly 50 miles outside of Nashville, according to Dep. Thomas Gilliland of the Harris County Sheriff’s Office. Gilliland did say that he was impressed with Robinson’s ability to drive well enough for so long so she did not get caught by officers. She is still three years from acquiring a learner’s permit. “It’s amazing she was able to manipulate the roadways,” Gilliland said. Robinson was taken into police custody while her parents traveled to come get her. After picking her up, the parents contacted Dylan so the two could meet, in hopes of ending the whole thing. Gilliland also said that he does not expect files to be charged against Robinson.